A nation on the march again … or just plain old déja vu? 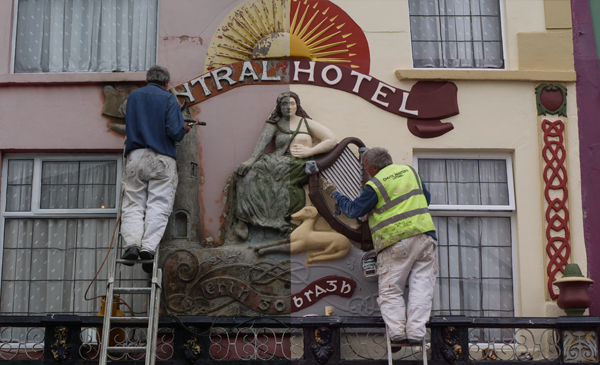 Freddie Chute working on the restoration of ‘The Maid of Erin,’ Listowel, 2012. I had something else planned for this blog but Tom Halliday’s cartoon of ‘A Nation on the March’ (Sunday Independent’s 02.11.2014) brought me back to the ‘Maid of Erin’ theme. Halliday shows ‘Liberty’ as a bare breasted ‘Maid of Erin’ leading the plain people of Ireland as they trample the political elite in a revolt over water charges. Top of the pile of the trampled is Joan Burton, leader of the Labour Party and Tanaiste or Deputy Prime Minister of Ireland. 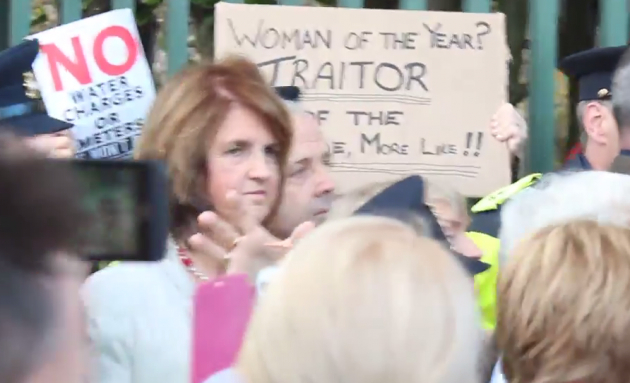 Less than a week later Joan Burton was indeed ‘trampled’ by the great unwashed when she was ambushed by anti-austerity demonstrators protesting against the introduction of water charges. Amateur video footage is available on Journal.ie. It is shocking at all sorts of levels. Politics aside, this looks like an assault on a woman, pure and simple. 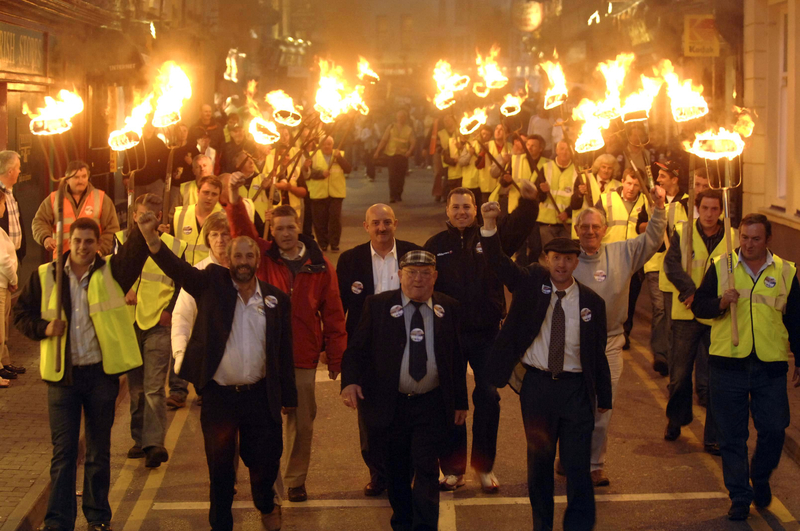 It marked the beginning of a new and seemingly more aggressive stage in the campaign against water charges. Within days a bomb threat was phoned in to the Minister for the Environment’s constituency office and the Minister of Finance was forced to make a getaway through a side door at another public event. The number of events is small and focussed on a particular campaign but a line has been crossed. Peaceful protest has morphed into ‘revolt’ or ‘thuggery’ depending on whether you are an anti-austerity activist or a member of the establishment. What is not in dispute is that the introduction of water charges is the spark that has ignited the rage that has simmered under the surface since the Irish government bailed out the banks at the expense of ordinary citizens. Is this the beginning of The Revolution? Up to now the political / economic establishment has depended on ‘Paddy’ (as the Taoiseach / Prime Minister put it) maintaining his legendary tolerance of economic mismanagement and corruption in order to push through austerity without the democratic revolution that was promised in return. Sure, the voters could always be bought off with more promises and compromises before the next election. The voters are reasonable people after all according to Alan Kelly (Lab), Minister for the Environment (17.11.2014). Then Joan Burton was attacked. Something had snapped in Irish politics. There is a sense of genuine shock at the nature of the attack on the Labour Party leader in a Labour heartland, and everything else that followed. The anti-austerity campaigners are unapologetic. The people have had enough. They have put aside the traditional passive aggressive “I’ll get them at the election” attitude and have risen up against the political elite. Halliday’s cartoon is a reworking of Eugene Delacroix’s celebration of the power of the people as the force behind the French Revolution. The idea of the plain people of Ireland throwing bricks and smashing things may have been ironic and even witty a week or two ago, but so too was the idea of an Irish Revolution. Eugene Delacroix, ‘Liberty Leading the People,’ 1830, Louvre, Paris. That was before the latest polls revealed that the political centre (represented by Fine Gael, Fianna Fail and Labour) is in decline. Some people are predicting that thenext general election is likely to return Sinn Féin as the largest party along with over 40 independents. If this happens, then Irish politics as we know it will be finished … until the next election at least. Is this the revolution? 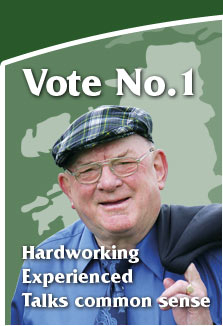 Sinn Féin thinks so. Two years ago republicans used another version of ‘Liberty Leading the People’ to illustrate public hostility to austerity and to predict the demise of Fine Gael and Fianna Fail. Their version of ‘Ireland / Liberty’ on the barricades was the ‘pop’ version created by Bobby Ballagh in 1973, in anticipation of another revolution in Ireland. Robert Ballagh, Liberty on the barricades (after Delacroix), 1973, lithograph (uploaded from http://www.anphoblacht.com/contents/21858). 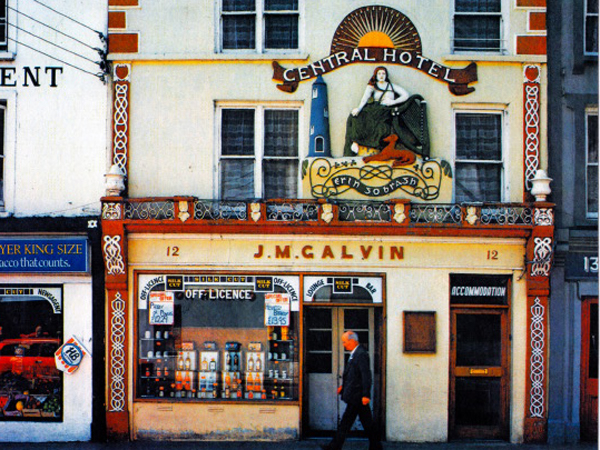 This got me thinking about Pat McAuliffe’s ‘Maid of Erin,’ a massive cartoon in plaster on the front of a pub in Listowel, County Kerry. It is a large stuccowork that was created by the eccentric builder and plasterer in 1912. 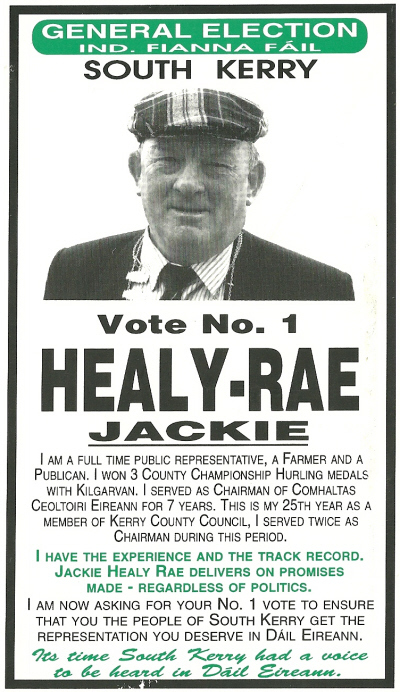 He portrayed Ireland as bare breasted ‘Maid’ surrounded by nationalist and Home Rule symbols. McAulliffe created a whole series of tableaux on shopfronts in the townl. These are probably the most underrated examples of indigenous folk art in Ireland, something that is unique in a conservative arts world that was dominated by Manchester and London and was, by and large, oblivious to modernism not to mind anything that smacked of revolutionary avant-gardism. Pat McAuliffe, ‘Maid of Erin,’ 1912, Listowel, County Kerry. In retrospect it seems very improbable that a sculpture of a semi- naked woman would be allowed in a conservative / rural / petit bourgeoisie town under the heel of the Catholic clergy. So what was McAuliffe getting at? The imminent achievement of Home Rule and Liberty probably. McAuliffe borrowed ideas from everywhere. He took off-the-shelf commercial mouldings and transformed them with signatory mermaids (McAullife crest) and other esoteric motifs. ‘The Maid of Erin’ is obviously a synthesis of nationalist symbolism (Harp, Round Tower, Shamrock, Hound, Sunburst) but one question always arises, why the bare breasts? I have no doubt that he was thinking of Delacroix and his version of ‘Liberty’ when he created his ‘Maid of Erin,’ just over a hundred years ago on the eve of another revolution. MacAuliffe’s ‘Maid of Erin’ was restored in 2012. Could this be a case of Déja Vu? The first brick has been thrown. Will there be many more? Can the centre hold? In 2012 I managed the restoration of the ‘Maid of Erin.’ for artist Sean Lynch. Lynch was commissioned by Kerry County Council as part of its Public Art Funding. Sean Lynch’s work is deals with the recovery of lost or forgotten works of arts or cultural artifacts in a way that makes us question the values embedded in these objects in terms of contemporary social+political=cultural events. ‘The Maid of Erin’ is typical. During a previous restoration of ‘The Maid of Erin’ in 1999 a row was caused when a new owner decided to “cover her dignity” (Howard). 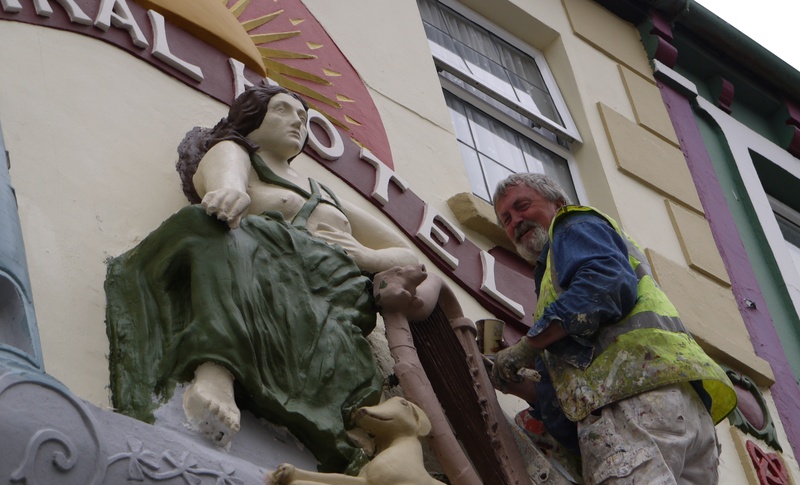 Photo of Freddie Chute working on the restoration of the Maid of Erin, Listowel, a project managed by Ciarán Walsh of http://www.cutrator.ie for artist Sean Lynch. Lynch was commissioned by Kerry County Council as part of its Public Art Funding. The photo is split, one half showing the ‘Maid’ stripped bare and the second half showing the ‘Maid’ after restoration. This entry was posted in Comment, Current Affairs, Heritage, Journalism and tagged Ciarán Walsh, County Kerry, Home Rule symbols, indigin, Joan Burton.Jobstown, Listowel, Maid of Erin, Pat McAuliffe, www.curator.ie on November 17, 2014 by ciaranwalshnoe. I came across this photo on Tumblr recently and it reminded me of an old acquaintance that I had with John Berger – in print of course. I was an undergraduate student trying to come to terms with the ‘significance’ of the ‘suit’ in this photo. 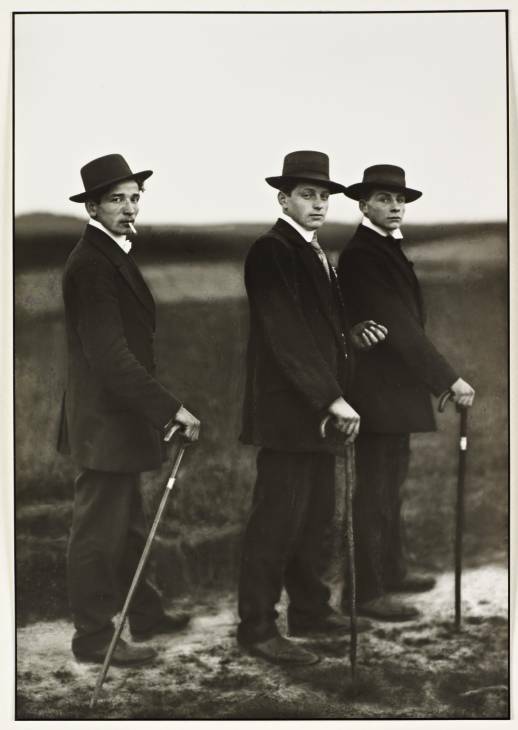 Young Farmers was taken by August Sander in 1914 using a large format, glass plate camera with a long exposure time, a legacy of earlier formalised studio portraiture and all that that implied. 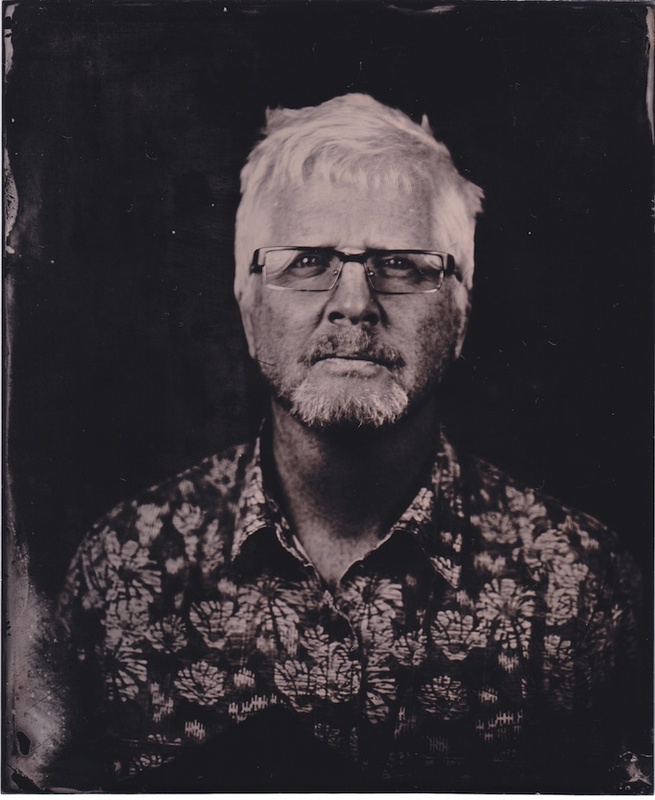 It was the sixth plate in Sander’s portrait photobook Face of Our Time, published in 1929. It also appears in the first volume of Sander’s People of the Twentieth Century, a photographic index of the German population based on distinct social ‘types’. 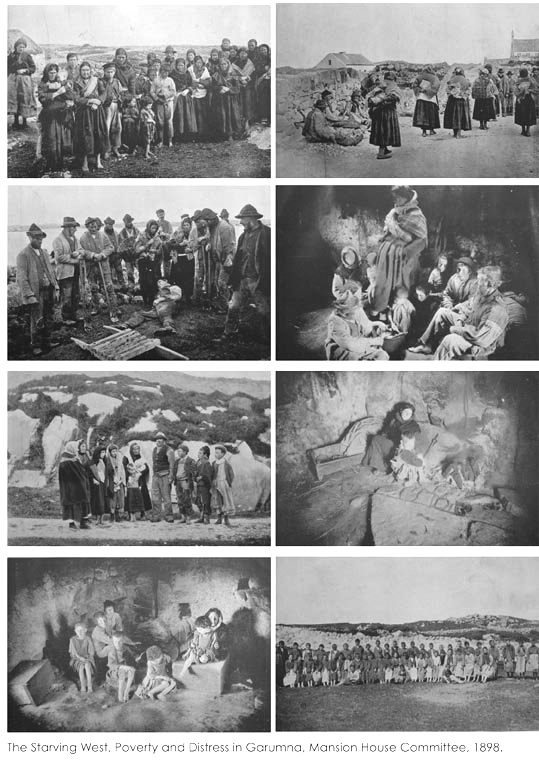 John Berger ‘the Marxist art critic’ wrote an essay about the photo in which he stated: ‘The date is 1914. The three young men belong, at the very most, to the second generation who ever wore such suits in the European countryside. Twenty or 30 years earlier, such clothes did not exist at a price which peasants could afford.’ (Berger, The Suit and the Photograph, 1980, p.30.). Berger suggests that the tree lads are deliberately playing with the viewers expectations of the peasant ‘type’ by adopting the stance and manner of urban ‘types’, the cigarette being especially significant in this regard (adapted from text on the Tate website). Berger may have overstated it a little, in an Irish context anyhow. 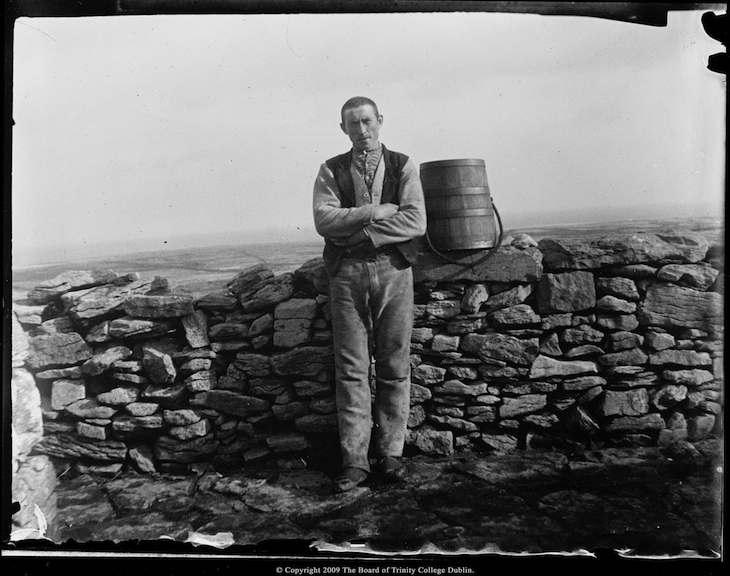 John Millington Synge took this photograph of Mairtín Mac Donnchadha in 1898, a mere 16 years before Young Farmers. Mac Donnchadha features prominently in ‘The Aran Islands’ (1907), Synges account of life on the islands. In the book Mac Donnchadha is called ‘Michael’ and is portrayed as a model of the primitive peasant ‘type’ found in Aran. Justin Carville (Photography and Ireland), in a reprise of Berger’s earlier article, wrote in the(Irish Journal of Anthropology (reference below) about Synge’s account of taking the photograph. Mairtín / Michael wanted to wear his suit, his Sunday clothes from Galway rather than the homespuns that he was photographed in. He wanted to distance himself from the ‘primitive life of the islands.’ This was evidence, according to Carville, that the islanders were ‘becoming increasingly aware of the production of their identity through the photographic image.’ In other words they understood the significance of the suit. 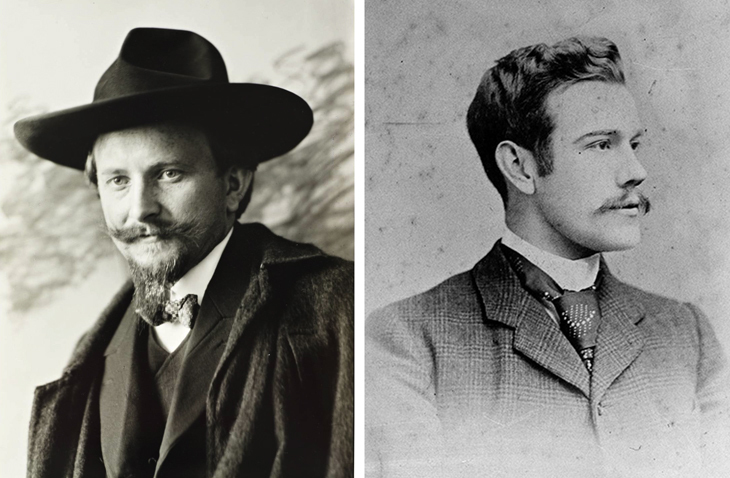 It seems they weren’t alone, judging by the studio portraits used by Synge (right) and Sander. At the time Synge was living in Paris on an annual allowance of £40 plus a new suit, courtesy of his landowning family. Synge, and others like, him were known to the islanders as ‘lucht na cultacha deasa,’ the people with the nice suits. Ref: “My Wallet of Photographs”: Photography, Ethnography and Visual Culture in J.M. Synge’s Aran Islands” Irish Journal of Anthropology Vol. 10 no. 1. (2007): 5-11. 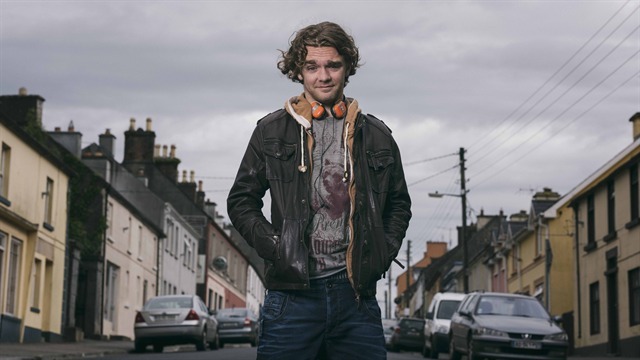 This entry was posted in Comment, Journalism, Photography and tagged August Sander, Ciarán Walsh, John Berger, John Millington Synge, social documentary photography, Suits, The Aran Islands, The Suit and the Photograph, www.curator.ie on October 17, 2014 by ciaranwalshnoe.